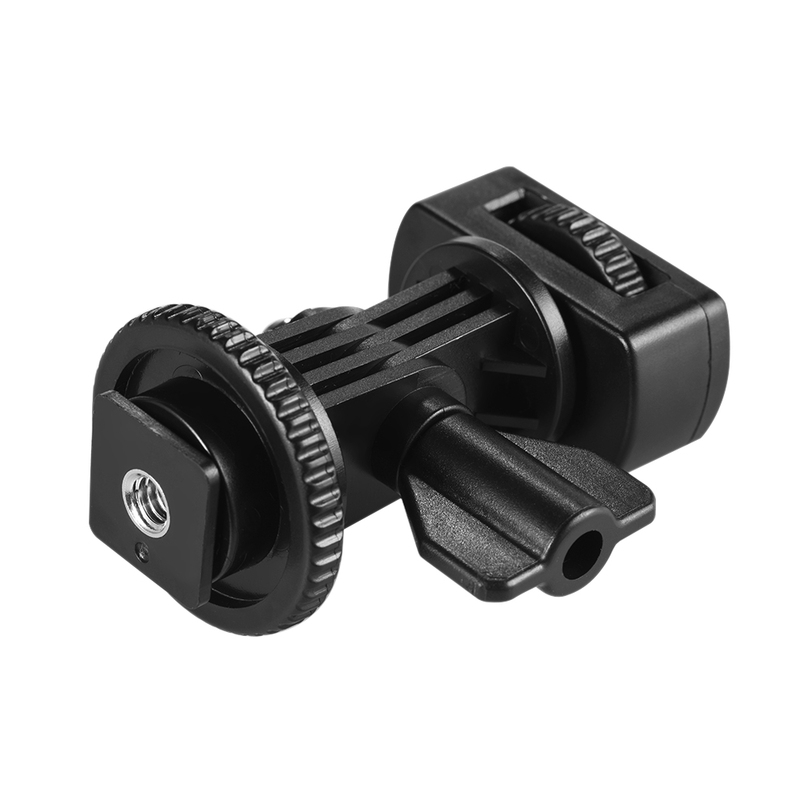 Cold shoe mount adapter with 1/4" screw and locating plunger. 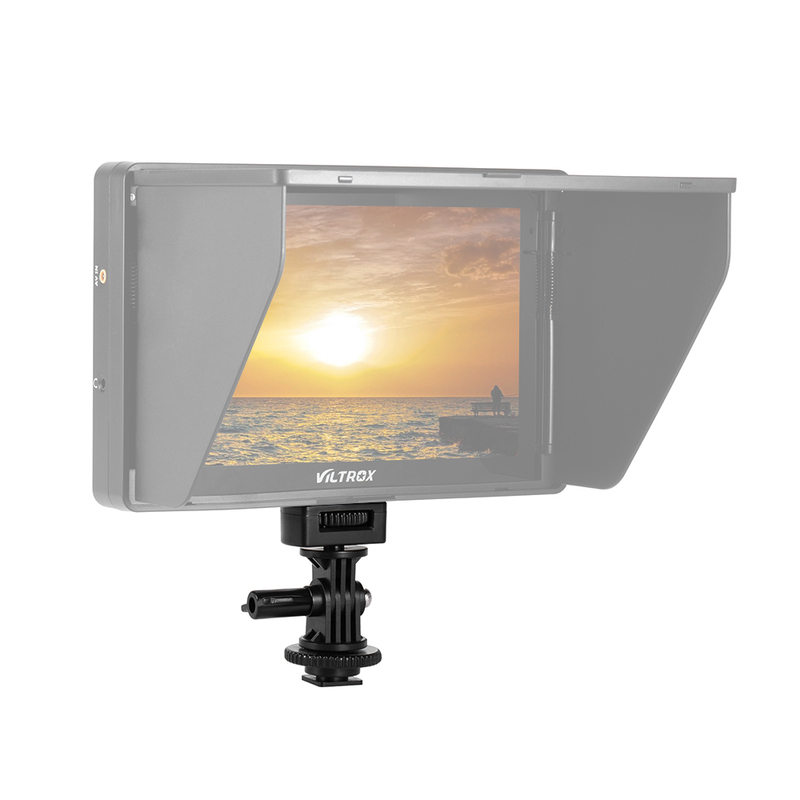 Specially designed for Viltrox monitor and LED video light, such as DC-90/ DC-70/ DC-50/ L132T/ L116T. 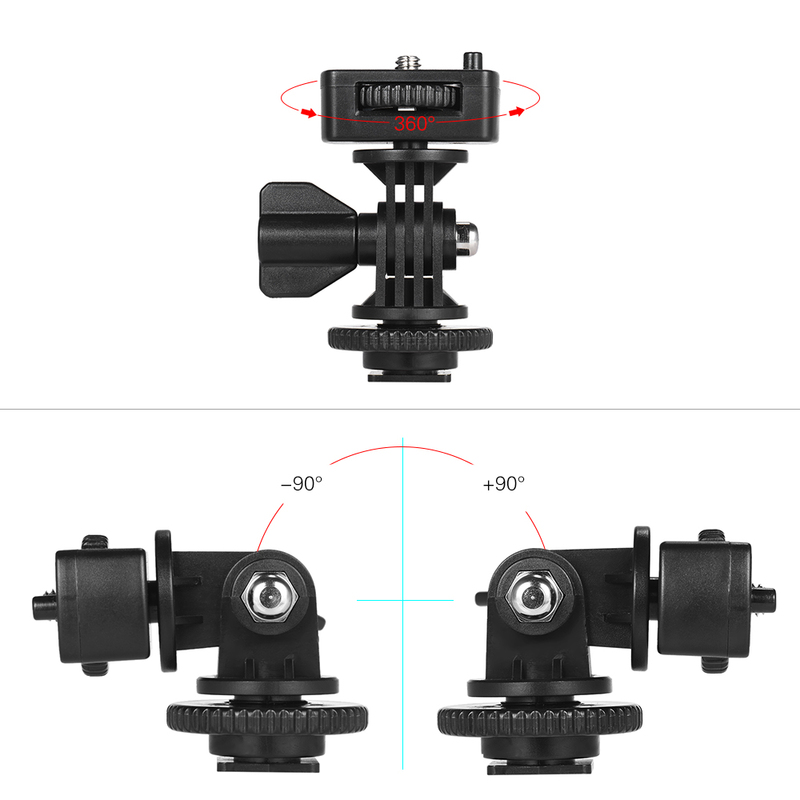 Supports 360° horizontal rotating and -90°/ +90°tilt angle adjusting, very flexible to use. The cold shoe base of this adapter can connect to the camera hot shoe. 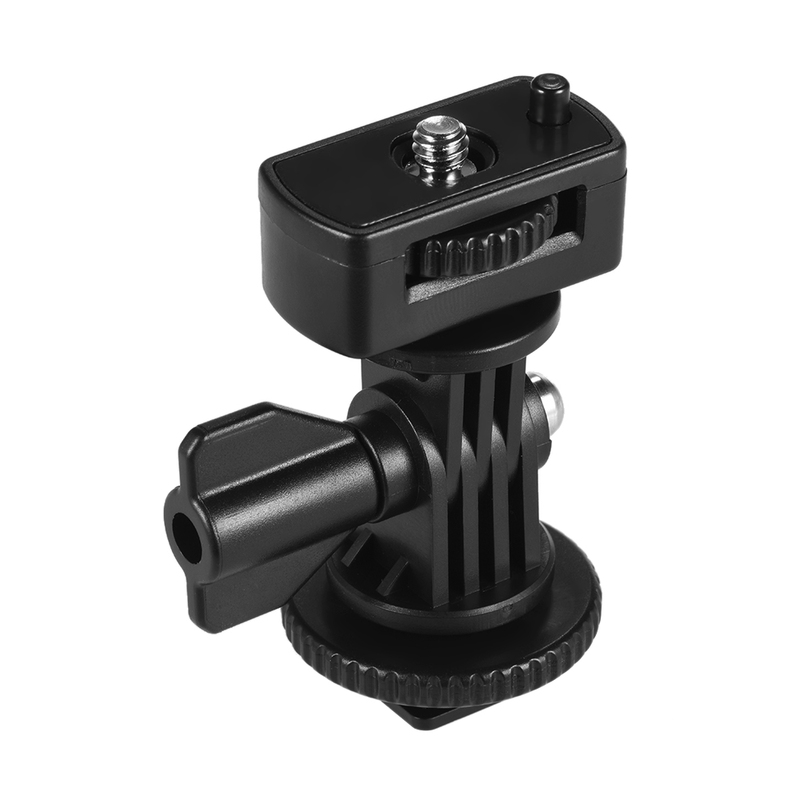 1/4" screw hole at the bottom of the adapter allows you to fix it to the tripod or bracket with 1/4" screw. 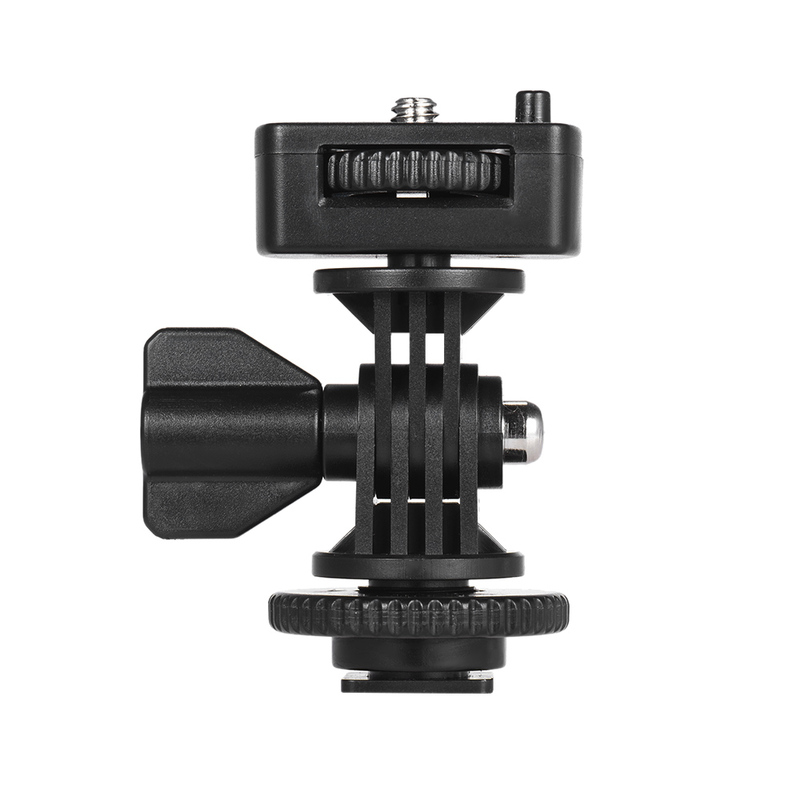 Only the cold shoe mount adapter is included.